If you’re the kind of person who likes to customise the shizz out of their stuff or you’re looking for a gift for the person who has everything, you might be interested in popping on over to Wrappz.co.za. They offer custom cases and skins for pretty much everything. Think cell phones, laptops, iPads, Kindles and more. Aside from being able to pick from a host of designs, you can get a li’l fancy and design your own. Wrappz was kind enough to offer me a cell phone case (R329) so I created a custom one for my little sis as part of a very belated Christmas gift. Girl is completely mentalistic about her super cute doggies, two disgustingly cute Rhodesian ridgebacks, so it was obviously as to what type of piccie I was going to use. Putting it all together took me less than ten minutes and I was slightly drunk having come home late from a launch so let that attest to how simple the design process is. Then, a week later, all I had to do was sent to go collect the cover at my local post office. It had been sent via a registered letter with tracking for R35 but you can select a Fast Mail option for a mere R15 too. In all, whipping up the case was child’s play, the service was slick and I love the final product. (I mean, how could I not? I designed the darn thing!) I was also impressed that, even though the pic I used was a low-res shot my sis had sent me via What’s App, it still looks really good. 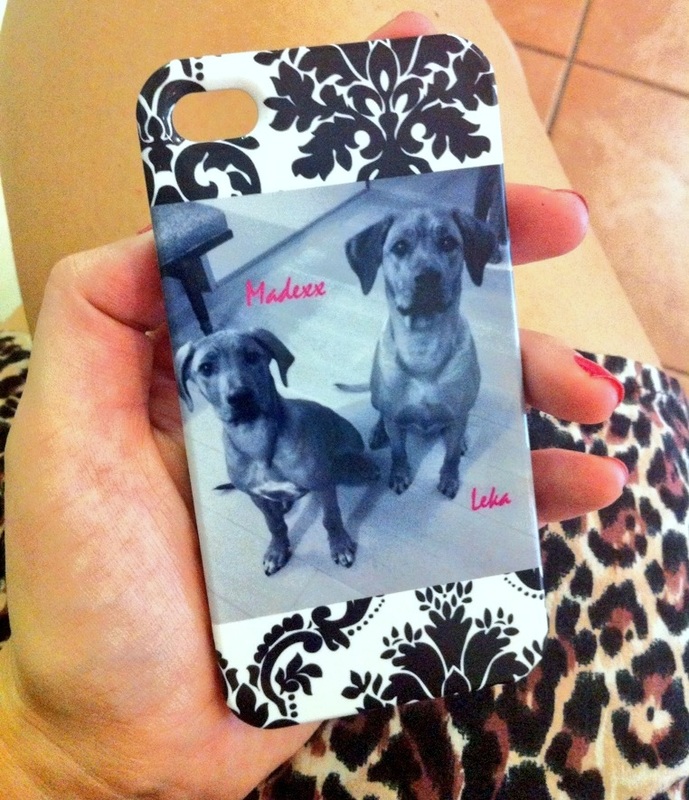 Want to create your own custom covers too? Pop on over to Wrappz and get clicky clicky.